Grace, poise, energy—these are the qualities one finds in skilled dancers around the world, and are almost impossible to capture in a work of art. 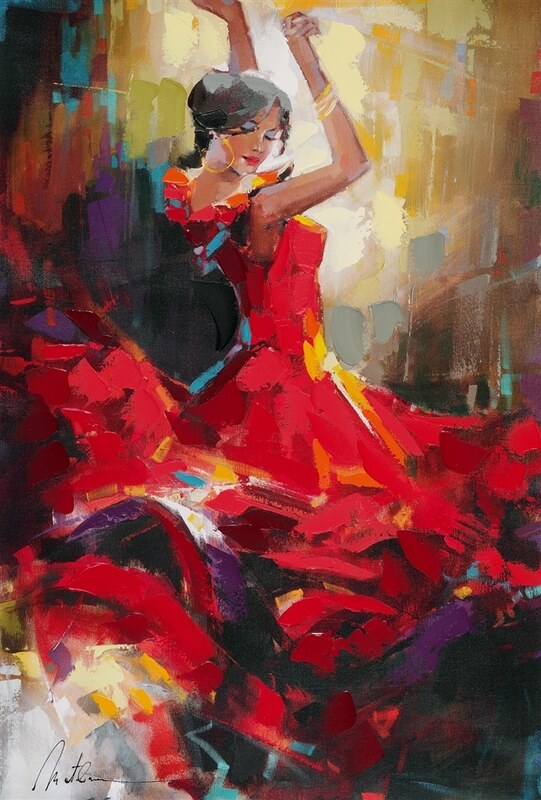 While historically known for his beautiful Mediterranean landscapes, Anatoly Metlan went beyond his comfort zone to amaze collectors with a series of dynamic dancers painted in his latest technique. Metlan is inspired by his travels around Europe, resulting in landscapes full of uncompromising light, vivid color, and detailed vistas. It’s this love of travel that led Metlan to Barcelona, Spain, where he attended concerts and shows featuring flamenco dancers. What he saw left him astounded. 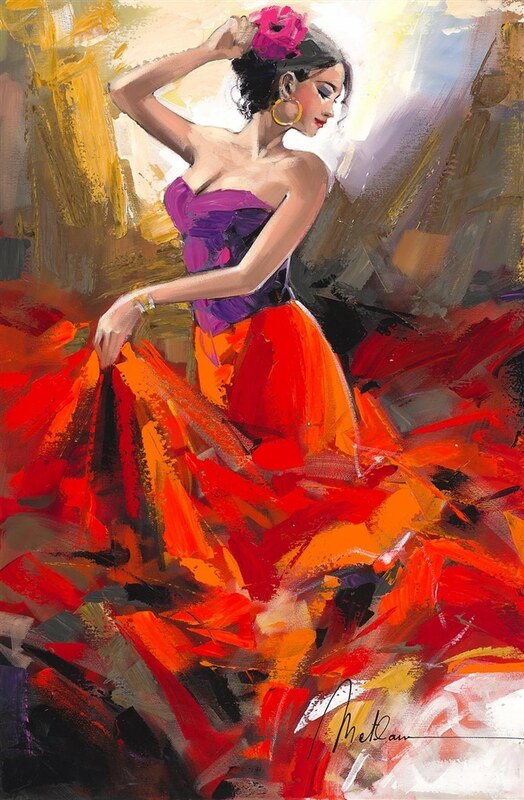 Like Impressionist artist Edgar Degas before him, Anatoly Metlan was compelled to transmit his fascination with dancers onto the canvas. However, unlike Degas, who once controversially claimed that women are “concerned with nothing beyond their physical occupations,” Metlan aspires to celebrate both physical and spiritual female beauty with his works. Instead of turning to his traditional paintbrushes, Metlan decided to use his own recently-discovered technique using a palette knife. 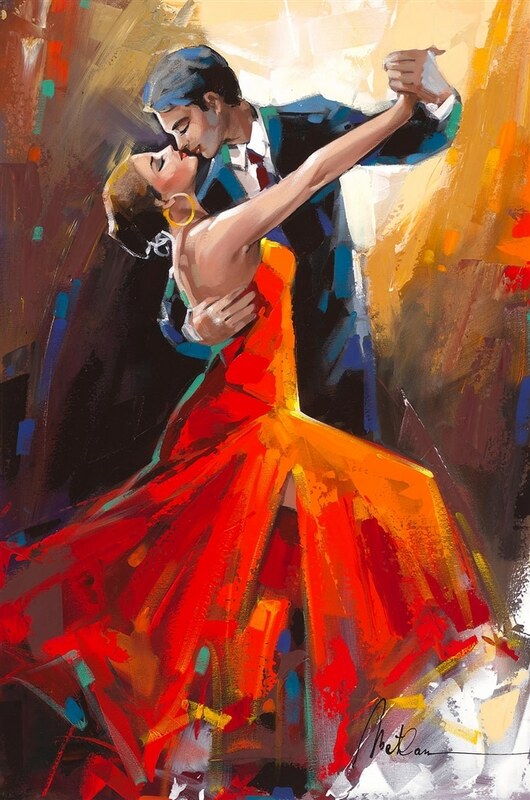 He found the technique, with its large strokes and textures, was perfect for conveying the energy and sweeping motions of a dancer in action. 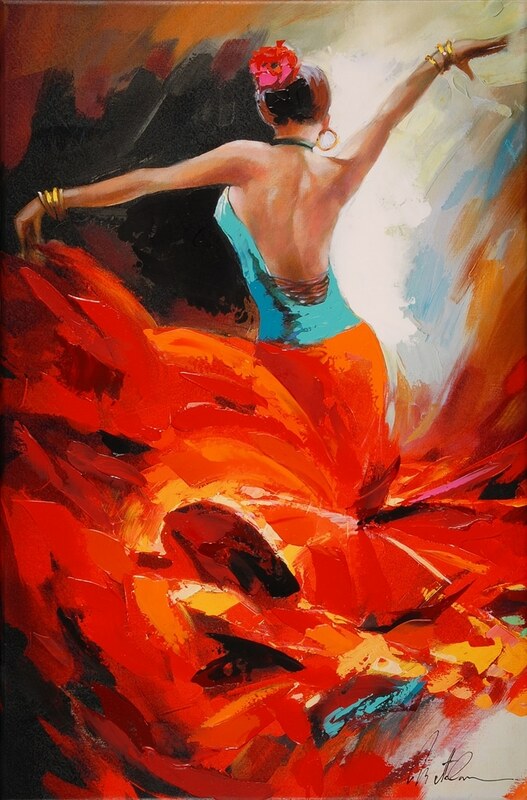 As a result, Metlan’s detailed dancers are posed mid-stride amidst abstract backgrounds, skillfully capturing graceful bodies and sensual movements. Up close, viewers may only see bright patches of paint, but as they pull away, the swathes transform into fiery, flowing skirts. 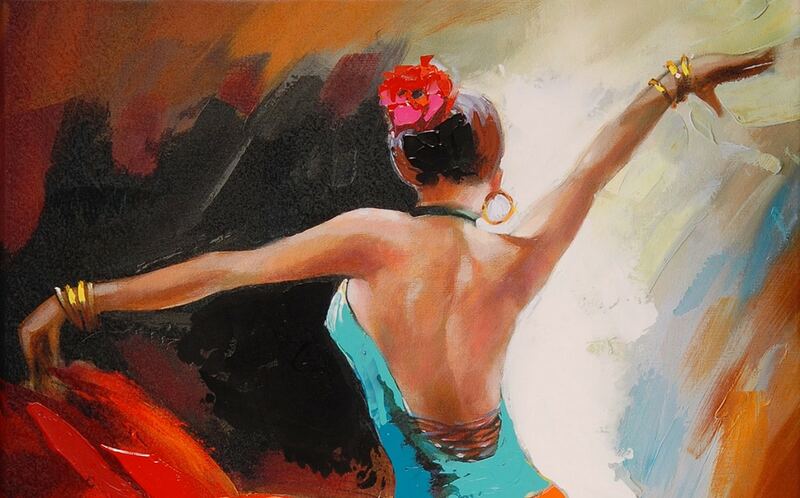 Metlan’s inspiration didn’t end with flamenco dancers. His muse took on a different form, trading flamenco skirts for elegant gowns and instruments such as violins, cellos, and saxophones. These musical women stand poised, as if just finishing a song or preparing to confidently step onto the stage. Collectors are definitely not shy about their love for Metlan’s electrifying dancers and musicians. There are countless Pinterest boards dedicated to images of his dancers, and his fans on Instagram also love sharing their passion for his dancing women caught in motion. 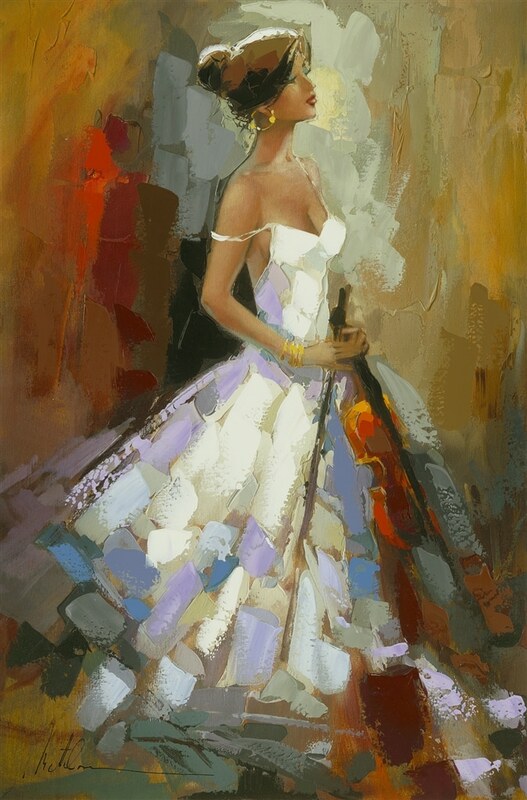 To collect the art of Anatoly Metlan, contact our gallery consultants at (800) 521-9654 ext. 4 or sales@parkwestgallery.com. 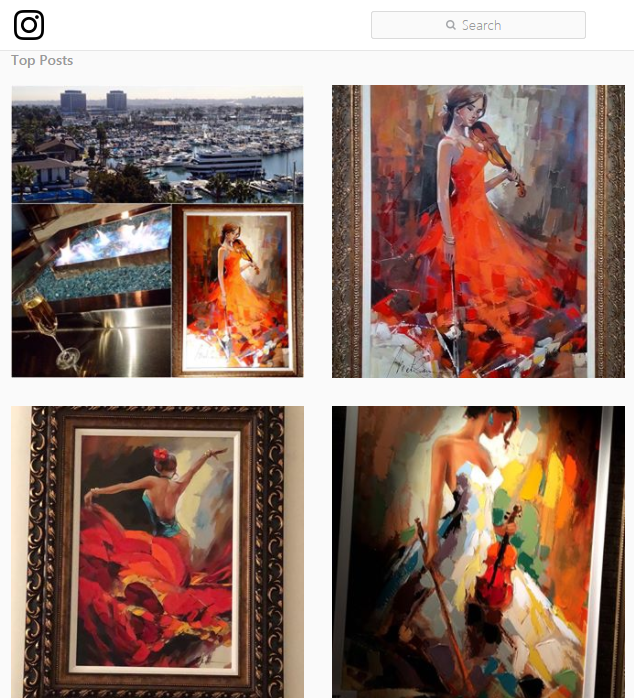 Thank you for your interest in Metlan’s art, Ralph! One of our gallery consultants will be in touch with you soon. 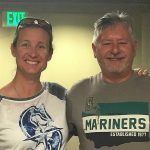 My wife and I just purchased our first Metlan, on the Getaway 2 weeks ago….and we love it…..! 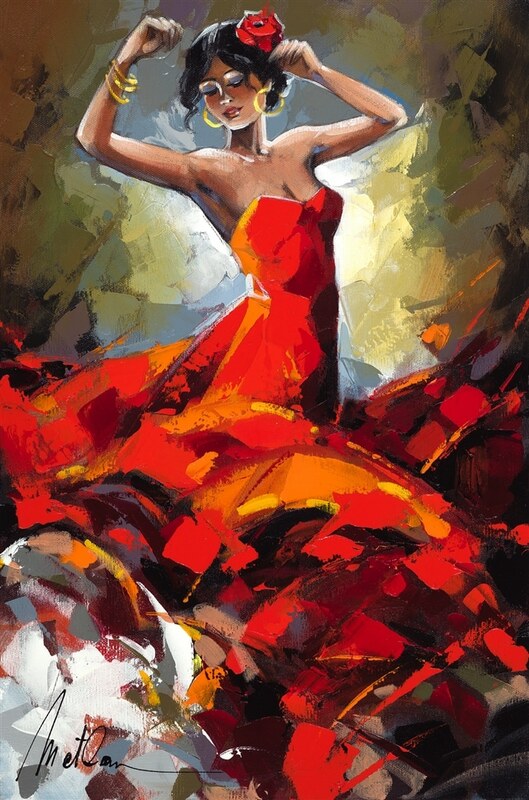 We bought the “Flamenco (2015)”…. Really like “The Violinist II (2016) also……showed above. His style and colors are phenomenal. That’s why we have 4 uniques of the dancers so far. Hope to meet him some day.